UPDATE: Tri-State Super Selfie League Expansion! 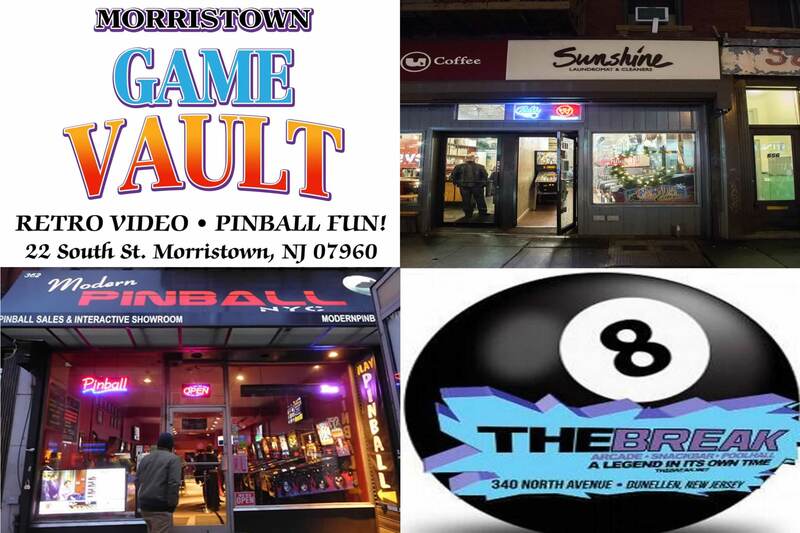 The Morristown Game Vault joins the Tri-State Super Selfie League! After this weekend’s charity tournament is over, players will be able to post selfie scores toward the TSSSL (TS3L?) standings. This means the Finals will now be a 32-player event featuring the Top 8 players from each of the 4 locations. 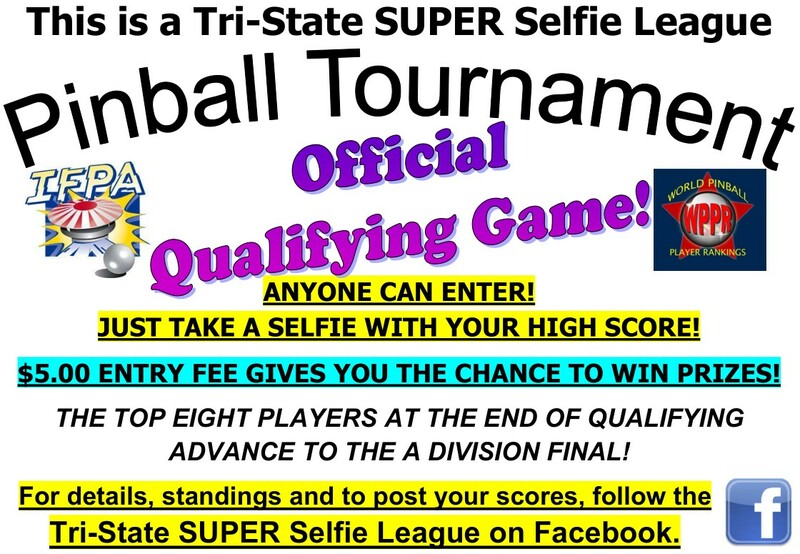 The Tri-State Super Selfie League is a multi location qualifying league where each player can record a entry on any official league game by taking a selfie with their score. 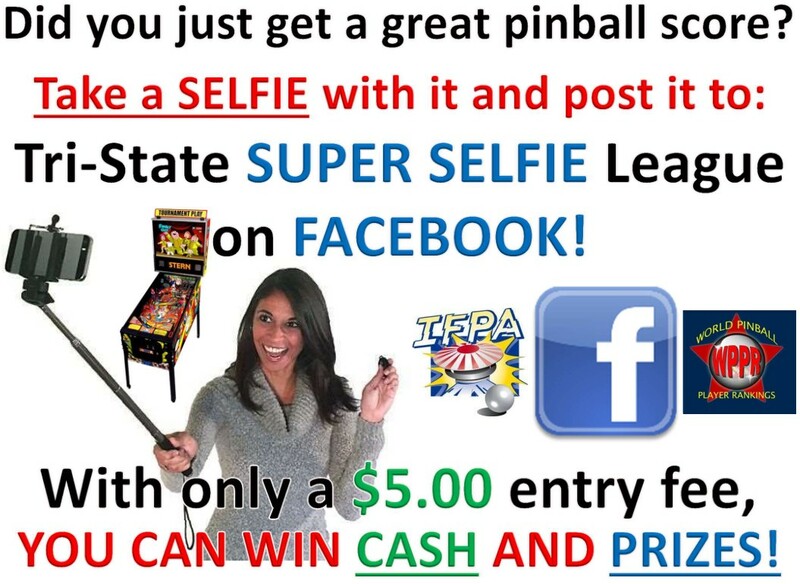 Post each selfie to the facebook group, send to tristatepinball@yahoo.com, or send to Greg Poverelli by private message. Track your progress at www.neverdrains.com/tristate. Please refer to the Facebook group page for more details about rules and other relevant information. We are happy to announce that thanks to the generous support of our venues and Stern pinball there will be an abundance of prizes possible for all participants. Every member who submits an entry will get a 1 hr pass to Modern Pinball NYC! A and B Division finalists are eligible for cash prizes; trophies for the 2 winners, Stern translites, additional all day passes and t-shirts from Modern, gift certificates and translites from Sunshine Laundromat, as well as gift certificates from the Game Vault and 8 on the Break! Prizes are eligible only for those who paid League dues of $5. Payment accepted up until finals please contact Greg. Your best 4 scores of the 6 qualifying games at each location (Sunshine, Modern, the Vault and 8 on the Break) will count for your qualifying total. The scoring metric for each game is 100-90-85-84-83.. for a possible best score of 400 at each location. You can play at as many locations as you like but only our best qualifying standing matters. Play a game as many times as you like but only submit scores that surpass your last. The top 8 from each location make finals. The top 32 players (best 8 from each venue) will qualify for A. Seed 1-2 from each location get 2 byes. Seed 3-4 from each location get 1 bye. Finals will be played in 4 player groups pinburgh style scoring 3-2-1-0 on a bank of 4 games where the top 2 players advance in each group. Finals path is 32-24-16-8-4 where the final group determines the winner! B finals format will be determined by number of participants and announced as soon as possible. Finals location determines by votes and will be on rotation. UPDATE: finals rotation set as the Vault, Modern (season 2), sunshine (season 3), the break (season 4). Season 1 finals will be at the Game Vault in Morristown NJ on Saturday July 1st at 10:30 AM. Doors at 9:15. Reminder that the SCS value of the league is based on where finals are held that season. Final decisions and rulings are that of the tournament director and league reps: Greg Poverelli, Steven Bowden and Francesco La Rocca. Look for this banner if you are at The Break!